Your source of rugged Alaskan web radio, broadcasting from the remote Gwich'in Athabascan village of Fort Yukon (Gwichyaa Zhee), located just north of the Arctic Circle. Sharnay Niemuth and Cheyenne Norberg ramble endlessly in this unforgettable podcast of awesomeness!!! Sit back and let your ears be satisfied, as The Sharnenne Show serenades you with the melodic voices of these wonderfully talented radio show personalities. Let not your heart be troubled, for Sharnay & Cheyenne are here to bring ... See More laughter to your soul, wisdom to your brain, and butterflies to your bowels. Ladies, and possibly gentlemen, we present you with the Sharnenne Show. 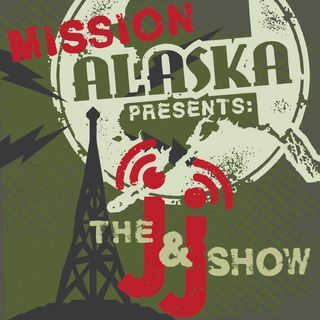 Topics may include; Alaska missions, juggling life in full-time ministry, podcasting, living off the road system, homeschooling, cooking, church admin, raising children, dealing with men, kids ministry, youth ministry, social media, texting, HGTV, spirituality, cleaning, exercise, women's ministry, and many other such things.